The pool is a great place to cool down on hot days. The opened space and the direct connection to the beach was great. We loved this place! Its right on the beach, and it really feels like you are on the edge of the world. Its nestled away from everything and really quiet, and the staff was really great. We loved the place, very close to the beach. We even had the opportunity to rescue baby sea turtles that ended up on the property. Staff was extremely kind. The staff was wonderful, and went over and above to help me when a transportation issue arose. The grounds are beautiful, and well cared for. 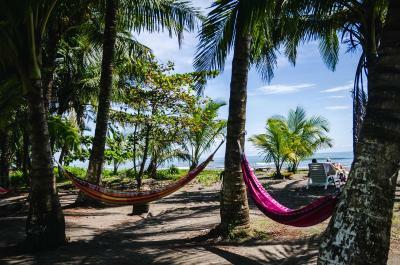 I would definitely stay here again, and I recommend it to anyone who is looking to spend time right next to the beach! 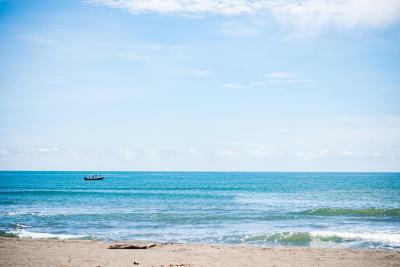 The location was amazing-right on the beach! The staff and the service was over-the-top. The beds ere the most comfortable we slept on during our entire 2-week trip. There is no air conditioning, but we were comfortable, no problems sleeping and there are screens on the windows. The food was delicious and the chef was very accommodating with special requests. We plan to go back. This hotel is right on the beach! 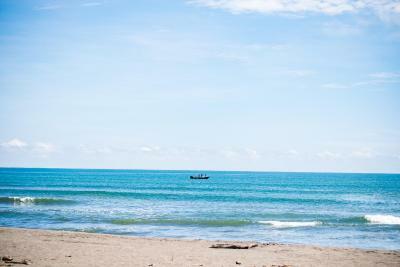 We could always hear the sounds of the surf. Mauricio the bartender/ cook/ clerk was incredibly attentive to our needs. Why eat at any other restaurant when you have Mauricio cooking for you! Also, he noticed us waiting in the lobby for our tour and called the guide for us. The owners were very friendly and accommodating while I stayed there. 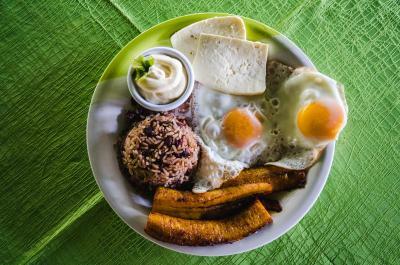 I arrived after breakfast and they were still kind enough to make me a traditional Costa Rican breakfast. 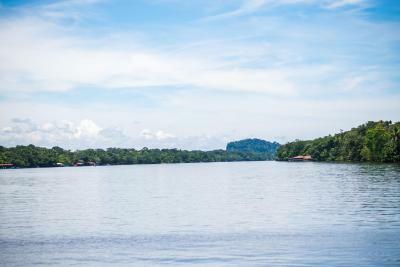 They have their own tour guide who will take you for river tours and tours around the park for a very reasonable price. 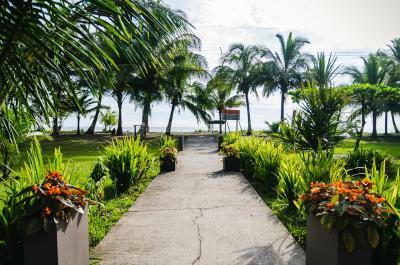 One of our top picks in Tortuguero.Offering an outdoor pool and terrace, Hotel Tortuguero Beach is located in Tortuguero in the Limon Region, 2,300 feet from Tortuguero National Park. 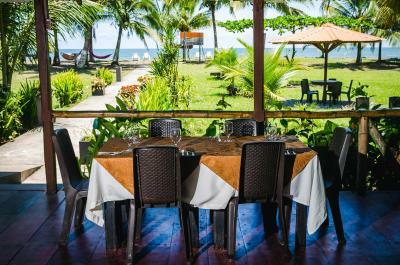 Guests can enjoy the on-site restaurant with sea views. Certain rooms have views of the sea or garden. Rooms are fitted with a private bathroom fitted with a bath or shower. 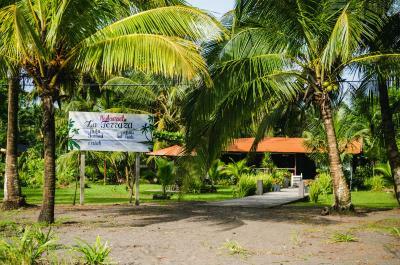 Hotel Tortuguero Beach features free WiFi . Guests can enjoy fresh coffee throughout the day. This hotel has a beach area and a tour desk is available. 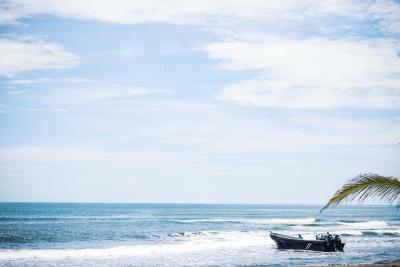 A selection of activities are offered in the area, such as fishing and hiking, with specialized guides from the hotel. 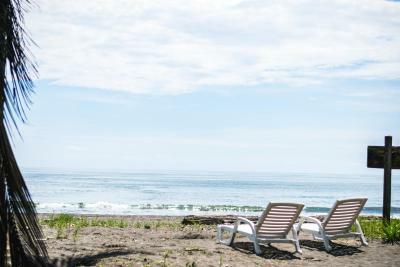 When would you like to stay at Hotel Tortuguero Beachfront? 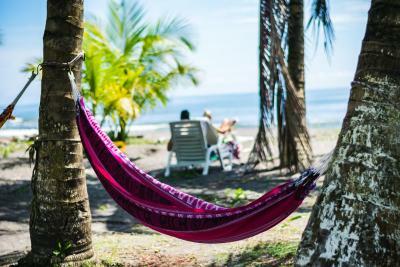 House Rules Hotel Tortuguero Beachfront takes special requests – add in the next step! 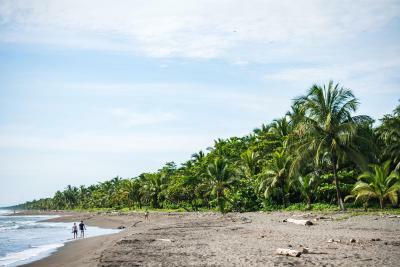 Hotel Tortuguero Beachfront accepts these cards and reserves the right to temporarily hold an amount prior to arrival. Please note that there are no banks or ATMs in or around the hotel. 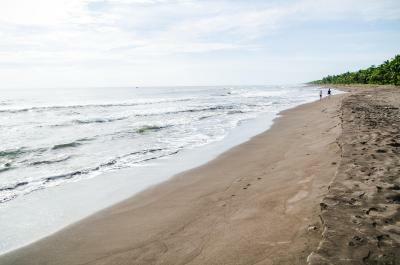 Please inform Hotel Tortuguero Beachfront of your expected arrival time in advance. You can use the Special Requests box when booking, or contact the property directly using the contact details in your confirmation. Pool area could be better taken care of, and I missed not having the hammocks that are pictured in the advertisements. We were greeted and treated very well. Although the rooms are dated, they are clean and in a great location. Central location, with wonderful restaurant. We had a room with air-conditioning, which was alright. It could do with a bit of tlc for the price we paid. But we had a good night sleep and aircon was good. Breakfast was excellent! We had a bungalow and the interior was poor. Electric cables hanging out of the wall, neither bedsibe table nor chair in the bungalow. Rooms get very hot during the day, there is a fan which helps. Upon arrival I was walked to the hotel and given a rundown of tours that were offered. Breakfast was great. Perfect location right on the beach. My room faced a lush tropical garden, beautiful. Nice little pool. Our room was very basic and the shower was temperamental. The staff were lovely. Kenya on reception was charming and so helpful to us because she spoke really good English. The reception /bar/dining area was open and you could see and hear the sea. Bugs/worms/lots of ants in the room. Bad smell. No warm water. Situation is really nice! 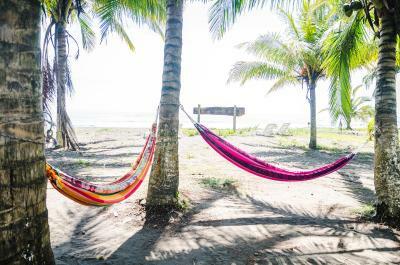 With hamacs on the beach. The staff was friendly. breakfast is ok.
Super location on the beach. Rooms were cozy and breakfast was good. Rooms were beautifully decorated. Rooms too small. Poor bathroom. Poor lighting and ventilation. Poor food. Uncomfortable beds.Nowhere to sit in lovely garden. We prefer to have a fridge in our room when travelling around, which they did not have here, the room we were in didn't had one. 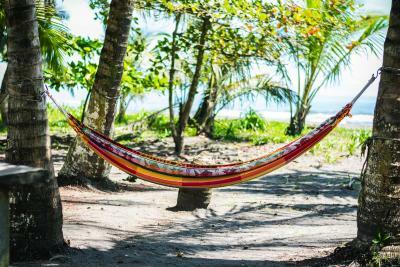 The pool is nice, but you won't linger around it much, since there are no lounger - if you want to relax close to the ocean are some hammocks. 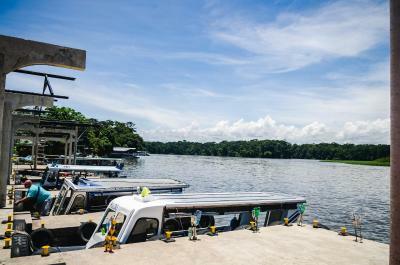 We were looking for a place in the town of tortuguero. The Beachfront Hotel was perfect. We had a room in the bigger building groundfloor (not one of the single cabins) and we were super happy about it. Walking out you can sit in front of your room and overlook the nice garden and see the ocean, as well at night you can listen to the sound of the waves. It is awesome to only walk along the ocean. The Staff was extremely friendly and helpful. Even before we came Karal gave us some valuable information regarding parking, ferry and private boat rides. 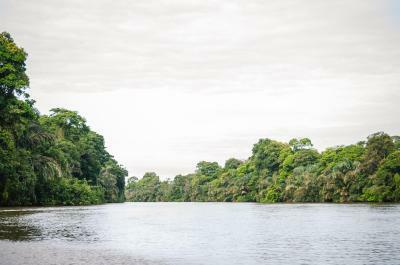 As well she gave us great tips on what we should do when we are here and reserved a canoe tour for us (it was awesome a must do when you come here). 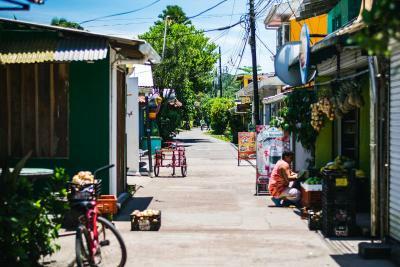 When arriving in La Pavona we got met by someone working with the hotel and as well when we arrived at the dock, they send someone to pick us up and walk with us to the hotel. We were able to leave our luggage at the reception before heading out with the boat. 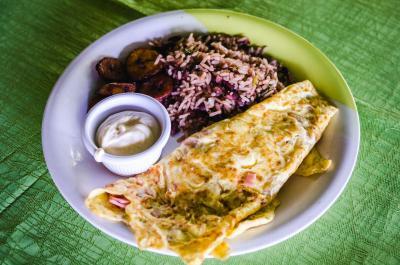 Breakfast Costa Rican way is served from 7 - 10 am, so even if we do a canoe tour depending on the time in the morning you do it 6 am or 8.30 am - you can have breakfast before and after. The room was a bit run down, but who cares in an amazing location like this! All I needed it for was sleep, it was clean and the bed comfortable. The location is amazing! 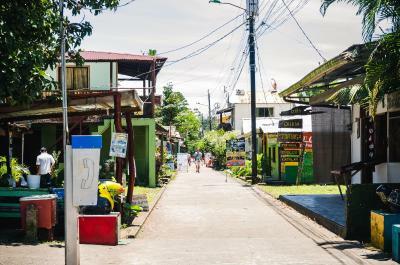 The hotel is set on beatiful grounds right on the beach and right behind the main street (the only "street") The owner and the staff was super helpfull helping me make new arrangements when I messed up my transport out of Tortuguero and I didn't mind at all that it meant staying an extra night! Pure vida! Dirty, the building where our room was located was in reconstruction and it looked like it is the only room that was left for us. We also had many worms in the shower.